In the case of gods and Buddha separation of the Meiji, I stayed as "the Shinto priest-purification shelter" of the Shinto shrine. More than 30 Bo was to Yamauchi in the Edo era, but they are demolished all and are the only building to remain as remains of an ancient structure which Buddhist monks in former times lived in now. I am used as a place of the prayer of Buddhist monk ascetic practices. I remind me of the times of the mixture of Buddhism and Shintoism. It is made with a court noble. In a quiet Shinto priest-purification shelter, it is the tea-ceremony room of the still quieter appearance. Mimicking a tea-ceremony room of Ginkaku-ji Temple Togudo shrine of Kyoto, I make the alcove post of the nandin. The vegetarian cooking which reaches Haguroyama from old days, and amounts to the low dining table of the Shinto priest-purification shelter now. When I visited Dewa Sanzan by a "back narrow path" pilgrimage, I am said to have treated eminent haiku poet Basho. Taste. As for the meal to have in a Shinto priest-purification shelter wrapped in mysterious quietness, is particular; is tasteful. All the dishes need reservations. In addition, a miso soup, rice, a pickle is included. 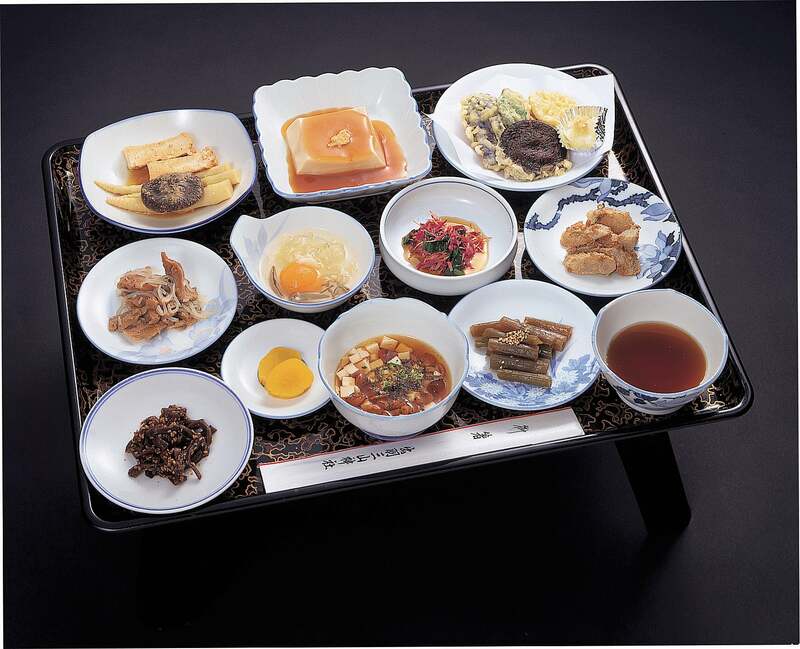 The dish of the photograph is a low dining table of 3,240 yen. Therefore thank you for your understanding. Over a telephone, please confirm it. Please call 0235-62-2357 on a reservation.